Recently, the only fan site I ever visited on a regular basis went under when Dee Dee, the lady (I assume she's a lady, anyway) who ran it decided she just had too much other stuff going on in her life. This is a shame for me, because it means that in order to keep up with what Paul Bettany is doing in his professional life, I have to have a Google alert. The annoying thing about a Google alert is that it turns up everything. So every time Mr. Jennifer Connelly, as he's more commonly known in the U.S., does anything at all, I get a mail with six identical stories from websites I never heard of in my life. What are all these sites? Who reads them? I assumed everyone got all their showbiz news from the AV Club. But no, it appears they get their news from Crave Online, Television Blend (part of Cinema Blend), Deadline (although I think I have heard of Deadline), and heaps more. How are these sites running? Is it advertising? Are they the loss-making sections of more successful enterprises? Are they doing that weird SEO Google gaming thing? Who knows? The good news they're throwing up to me today is that PB has decided to make the move to television. I guessed this was coming. All he's done lately is moan about how crappy the film industry is, how rubbish all the films he makes nowadays are, and how sad it is that all the quality work is being done in television. I think I see a way out of this for you, Paul, I thought, (while also wondering if maybe it mightn't be time, honestly, that he ate a pie) I think you need to think about going into television. And look, now he is. 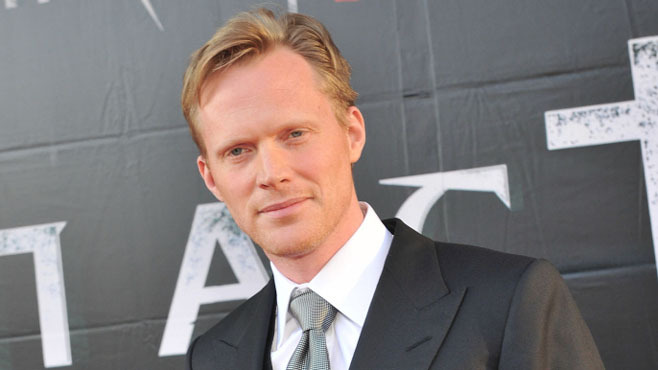 Now, I like watching television very much, and I like Paul Bettany being in things I watch. So this seems like a win for everyone. Sometimes, though the Google alert throws up results from weird, intrusive sites. I don't mean TMZ or straightforward gossipy ones, but ones specifically devoted to celebrities who have recently had babies, or who have small kids. In the beginning I did look at these photos, but I quickly got sick of them. Who wants to see photos of people who are trying very hard not to have their photos taken while they walk their kids to school? And there are at least six sites that I've seen that devote themselves to just this kind of crap. Celebrity baby bumps, celebrity babies, celebrity kids, celebrity younglings, junior celebrity fashion, and so on. And all of them are getting their content from paparazzi shots. It's obnoxious. And if it's like that for solid mid-rankers like PB, what on earth must it be like for the people who the celeb press have decided the public really wants to see all the time? This is, of course, the kind of thing that drives the sales in private islands. This is where I miss Dee Dee. She never let those pictures on her website, and I didn't even have to see them. I've tweaked the settings on the alert now to filter most of them out, but they still slightly freak me out.